What goes through your mind when you hear the word, Africa? I’m sure that for most people, including fellow Africans, they think of it as a place where nothing good can come from. Foreigners have often referred to Africa as a black continent, not because the inhabitants are black but because of the persistent problems of Africa. However, the problems facing Africa do not arise from nature. The problems are man-made but not by Africans themselves. Furthermore, the so-called African problems are more of perceptions than the reality on the ground. Until and unless Africans themselves understand that their problems are created by those they trust to offer help, not much will change for this great continent. 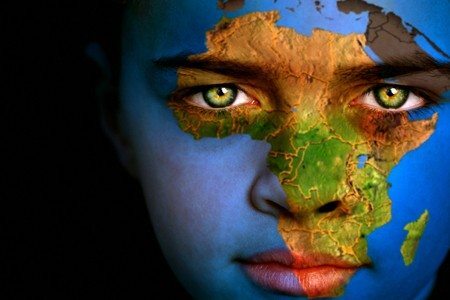 In this article, we’ll be looking at some of these difficult problems facing Africa today. It is widely believed that Africa is a poor continent even by the Africans themselves. If that were true, why then did the colonists come? African countries have some of the most valuable natural resources that form raw materials for the industries responsible for the growth of the developed world yet the people living in Africa are poor. Humanitarian organization such as UNICEF, WHO, and Doctors without Borders among others survive on portraying Africa as a dark poor continent to get funding for their quire operations in the continent. It is hard to find an African country that is debt free and the creditors are the so-called ‘Elite Continents’. The introduction of the International Aid was originally welcomed to get Africa on her feet. Soon the lenders started controlling African leadership through these Aids. The leaders, on the other hand, relinquish responsibility to their subjects and country. They peg the running and growth of their states to International Aid instead of ensuring they use the Aid to spark their own development that would bring about self-sustainability and independence. The wisest man ever to walk this earth, King Solomon, said that where knowledge lacks, people perish. It is obvious that Africans are perishing not for anything but because they lack knowledge. Africa is unique with unique problems and so the knowledge of the west is incompatible with the needs of the continent. 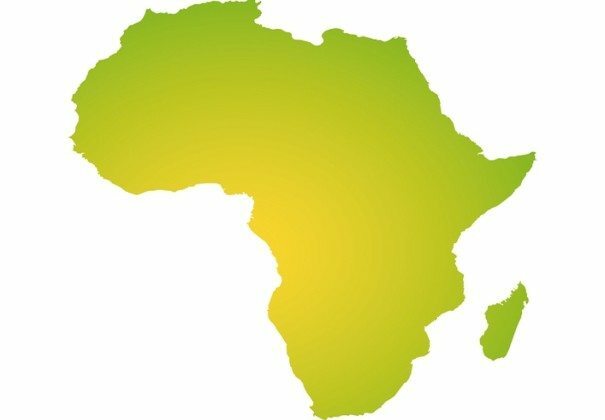 In as much as Africa has brilliant people, they are unable to identify an indigenous system, coach, educate their future leaders to offer the leadership that the continent needs for prosperity and in turn tackle the unique problems of Africa. If you take a good look at the African society, you will realize there are two sets of people: Those known to work their hearts out and still not make a living and those that do very little or nothing and live lavishly. The difference between the two is that the former set does not have contact with the elites while the other does. Those in contact with the elites work either for or with the whites. Their service is to foreign masters through their companies, NGOs or other organizations. One of the major problems of Africa is that this latter group is admired by young Africans, making them believe that you have to serve a ‘white man’ to achieve anything meaningful in life. The problems of Africa are still very much tied to wars and conflicts. The continent is known to be a place where a brother kills a brother and a son a father. You would wonder why people who have lived alongside each other for generations suddenly decide to attack their neighbours. While the elites tell the world that these conflicts are fueled by ethnic intolerance, they create the ethnic groups themselves. Look at the unstable African countries where rebels attack the government. Who funds them? Where do they get those sophisticated weapons? Your guess is a good as mine. As already been mentioned, lack of knowledge is a recipe for failure and one of the major problems of Africa. African leaders seem not to understand the principles or rules that govern the destination of a people. The elites have understood these principles namely, the Darwin, Machiavelli, and Hegel. These people understood the mindset of the elites and put it in books for everyone, including African leaders to read, understand and apply. The elites understood principles and they are applying them to achieve imperialism. When colonialists invaded Africa, they claimed to bring the good news of education, religion and trade. Well, they delivered on their promise but not in a manner that could help the indigenous Africans to be self-sufficient. Instead of educating the African child on science and technology, they favoured literature and subaltern mindset that would equip graduates with knowledge only good enough to enable them to assist these people in running their colonial governments. For Africans to achieve anything meaningful, they need to understand what is going on elsewhere in the world as these serve to shape their lives. The problem is that most African communities only know too much to enable them to live in their immediate environment. This occurs because of lack of an international intelligence network capable of promoting their understanding of distant lands. Have you put several live crabs in one bowl? If so, you know you do not have to worry about one of the crabs getting out because the rest will make sure it does not happen. Some African leaders have the tendency of leading others into a ditch while they get a reprieve. If Africa has to succeed, she has to jettison the crab mentality of underdevelopment and pursue unity of power and purpose. If you have been watching international media, you will realize that they can never depict Africa positively. Should an African do a great thing, they may run the story but will give credit to another “white man” they claim to have made it possible for the African to achieve his goal. The negative portrayal international media gives to Africa makes the foreigners think of this great continent as the darkest part of the world.